Much like other household supplies, when it comes to kitchen essentials, the list of brands available is a mile long. You’ll find brands with short names and long names, some that are American made and others that are imported in as well as some that are just not very good to begin with. Because there are so many different brands to chose from, we’ve complied a list with the best of the best. 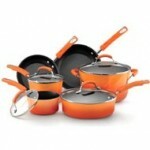 Below, you’ll find our top cookware manufacturers and brands whose products will make great additions to your kitchen. A fairly old American brand that came up in the 1930s, Fiestaware is known for its bright colors, primarily red, orange, blue, yellow and green. It’s also known for lasting a very, very long time with many people having some pieces that are considered vintage, yet look close to new. 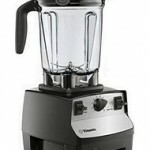 An Ohio brand, Vitamix is one of the most popular blender brands out there with raving reviews and a product that lasts much longer than other blenders on the market. Great for both smoothies and soups, as well as pretty much any other concoction such as cookie dough and salad dressing, these blenders cost a lot, but are well worth the money. A brand that produces a large variety of cookware from small to large, KitchenAid is another long standing American brand that continues to provide a great product to the general public. 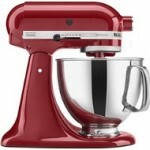 With a varying price range, pretty much anyone can afford a KitchenAid piece or two. Arguably their most popular, KitchenAid mixers can be found pretty much everywhere with some even collecting the older models. A relatively new brand from well known chef and TV personality Rachael Ray, Rachael Ray cookware is a great addition to any home. With flashy colors and well designed, easy to use pots and pans, you’ll find something that fits your taste and style, as well as comfort level. 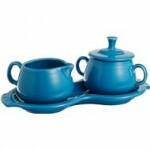 Most of her products come in sets, but you can also find several single choices. 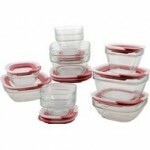 A fantastic brand for those who love options when in comes to food storage alongside organizing and cleaning tools, Rubbermaid is found in nearly every home in America is a true kitchen staple. Whether you plan for your item to stay in your house or if you’re looking for a usable house warming gift, Rubbermaid has got you covered. Out of all their products, their tupperware is by far the most popular and can be found in pretty much any store that sells kitchenware. A brand that specializes in more than just kitchen cookware, Black & Decker is a long standing and popular brand that produces a wide range of products from power tools to small kitchen appliances. 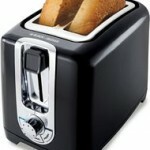 Most however, opt to purchase one of their toasters or toaster ovens. Others prefer their coffee makers. 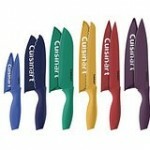 Mostly known for their toasters (both 2 slice and 4 slice) and knives, Cuisinart is a great choice if you’re looking to explore different appliances and cookware in multiple price ranges. With this brand, you’ll find some items starting out under $10 and others in the $100s. You’ll also find a nice selection of colors to choose from on lots of their items, which helps you out in the home decor aspect of your kitchen. Mixers, blenders and food processors are the name of the game for Hamilton Beach but you’ll also find coffee makers, toaster ovens and more. 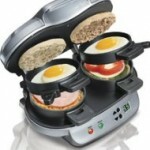 In addition, you’ll also find some usual kitchen helpers like a double breakfast sandwich maker that allows you to make your favorite fast food breakfast sandwich right at home.